The sun sets to the west of the Algodones dunefield in Imperial County, California. 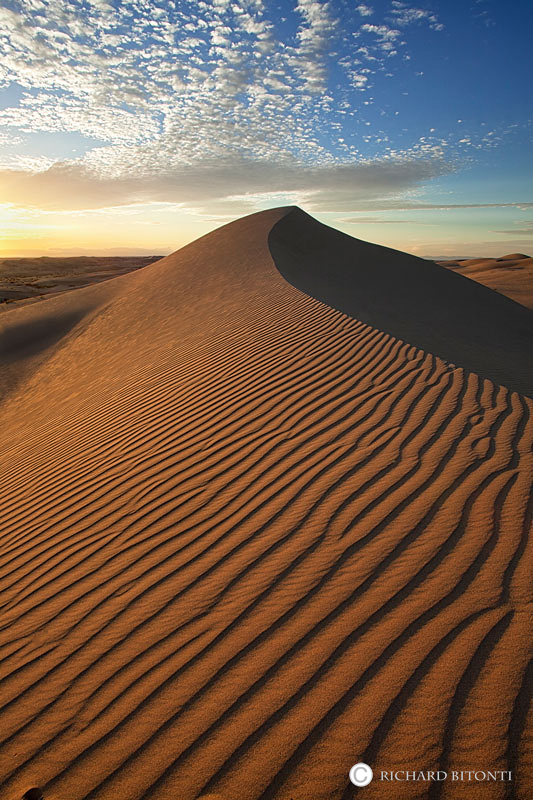 The dunes are part of a wilderness area that stretches some 18 miles from the California town of Brawley, east to the Choclate Mountain Range. Photo © copyright by Richard Bitonti.